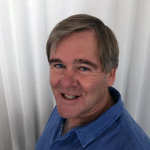 John Hudson has over 30 years experience in this field and now focuses on the assessment and consenting side of the practice. He is a qualified hearings commissioner, having completed the Making Good Decisions MfE training course with a Merit Pass and also with the Chairing Endorsement. He was appointed by the Minister for the Environment to the Board of Inquiry for the Turitea Call In which was considered as matter of National Importance. He has regular experience in the Environment Court, appearing as an expert witness for both applicants and councils throughout the country. 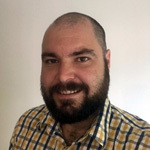 John is frequently asked to undertake peer reviews of colleagues work, providing independent evaluations for clients and often appearing in this peer review role in hearings or as Council’s reporting officer. Josh has now been with Hudson Associates for over 7 years and is involved in a range of landscape & visual assessment projects for Council’s and Developers. He graduated from Lincoln University in 2011 and passed his registration exam to the NZILA in 2013. A particular skill of his relates to the processing of site data into graphical attachments which meaningfully convey the important information, through the use of GIS, CAD modelling, visual simulation preparation and the Adobe Design Standard suite. Josh is currently on his third term as Chairman of the Hawke's Bay/Manawatu Branch of the NZILA, having previously served as secretary. 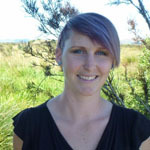 Chantal Whitby graduated from Lincoln University in 2009 with a Bachelor of Landscape Architecture. She is originally from Auckland but now lives on the outskirts of Dunedin on a nationally significant wetland with her Partner Glen. Chantal joined Hudson Associates in October 2018 and her initial work has involved working on the preparation and peer review of landscape and visual assessments. Chantal has also recently completed her Master of Science in Environmental Management (which focused on establishing wetlands) for which she received a number of scholarships, including the Queen Elizabeth II Technician Study Awards (awarded throughout the Commonwealth). Chantal enjoys applying her environmental knowledge to all aspects of her landscape architecture work. Outside of work, Chantal is an avid long-distance trail runner, completing events such as the 100km Tarawera Ultra-Distance Race and the 51.5km Motatapu Solo Adventure Run.